Atikmpag.sys driver causing BSOD. How can I fix this? This has been a long battle. I have been getting mysterious freeze-ups and BSODs for over a year. I have been getting some help from Microsoft, you can see the thread here and everything I have done up to this point. The person helping me believes it's the atikmpag.sys driver causing the problem. If I run Windows Verifier to check the drivers, my machine crashes and I get a BSOD right away. One thing I notice when I am setting up Verifier to run, there are two versions of Atikmpag.sys. Does that make any difference? Just now I uninstalled Catalyst, with driver version 15.201.1151.1008 and replaced it with Crimson Beta, driver version 15.301.1901.0. Apparently, this did no good because it still crashes on Verifier. Is there a version of a driver I can access that is perhaps three years old? Maybe I could try that. Any other suggestions? This is a DESKTOP and not a LAPTOP correct? Have you performed the SFC /scannow and DISM commands from the link? do that first and see if it fixes your problem. If it doesn't then read further. If this is a DESKTOP, I would suggest doing a Windows 10 Ingrade Repair on your computer. This will install a fresh copy of Windows 10 on your Desktop without having to reinstall anything. It is the same process when you upgraded from Windows 8 to Windows 10 without deleting everything on the hard drive. You would need a Windows 10 Installation DVD or USB. Download Windows Creation Tool and download Windows 10 as an .ISO file. Once you have the .ISO file either burn it to a DVD or install in on a USB drive or on a second Hard drive other than C:\. You can install Windows 10 .ISO file by using Window 7 USB/DVD Tool. I posted the Tool on this post so that you can either burn a DVD or install it on a USB. Once you have the DVD or USB or Second Hard drive with the installation program. Go to your Windows desktop and locate the Windows 10 Installation and Click on the setup.exe file. This will start the installation. Make sure you click the box that mentions to save all personal data. Once Windows 10 gets installed anew again. But don't delete it until you know for sure your Desktop is working normally. If the same problem continues, you can always go back to the former Windows 10 that you had installed but I don't really think that would be necessary. Right click on the C:\ Drive at "THIS PC" and under "Properties" in the "General" Tab click on "Disk Cleanup" than click "Cleanup System Files" and choose checkmark the box "Previous Windows Installation". This will delete Windows.old folder and clear up several Gigabytes of Hard drive space. AMD doesn't support your APU and HD 8370D with updated APU/GPU Drivers since your APU and GPU are considered to be Legacy (old). Thanks. That is almost everything I have done, with the exception of Step 3) above, but I will do it again, taking it from the top. If this doesnt' work, I guess I'll throw in the get a new motherboard or a new computer. Question. Which set of drivers would I be better off with, Catalyst or Crimson? I am not a gamer. I just use two screens and tend to have several programs open at once. I believe Catalyst is Windows Qualified while Crimson is not. It is Beta. Crimson was the new software that took over Catalyst. When I ran Windows Verifier, it got an immediate BSOD with a Driver Verification Error. disable Windows Verifier and see if you get any BSODs. The BSOD might be to some other software of driver. BTW, What was the Verifier Error? I once activated Windows Verifier and also got immediate BSODs. Needed to disable it to get my computer working again. Could be because the AMD GPU drivers are Legacy and the Verifier is tagging it. Run DXDIAG and save file to .txt and upload it here on this thread. Sometimes that helps to identify software that is causing problems. Seems like the link you posted is blocked by the Forum's JIVE software but the original link in the first Post does work. 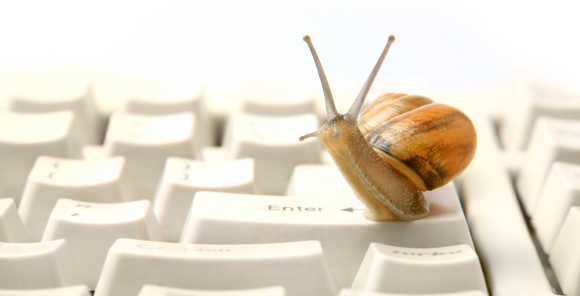 For troubleshooting purposes only, Download a free Diagnostic Program called OCCT (Download ). It tests the CPU, GPU, and PSU on your computer. Run each test separately for a full hour on Full Screen and post back if the computer BSODs or restarts by itself during any of the tests. While running, check the CPU and GPU Temperatures and PSU Outputs especially the 12 vdc, 5.0 vdc, and 3.3 vdc. It is possible you have some sort of Hardware failing. I will get those other tests going. According to DXDIAG, AMD Driver is not showing as a problem but mainly Windows type corruption and a couple of other 3rd party programs. For some reason DDU had a problem also. Make sure you downloaded the latest version of DDU. Garmin Updater is causing problems also: Garmin Aviation Database Updater is a software program developed by Garmin This is shown several times in the DXDIAG. From looking at the DXDIAG files, most seems to be related to Windows Corruption or problems. Did you by any chance upgrade from Windows 7 to Windows 10? See if there are any problems showing after running SFC /scannow and then DISM. This motherboard started out as Windows 8, then I updated it to Windows 10. Thank you for all your help. I just ran DISM and SCANNOW and no errors were detected. I didn't have much luck tracking down the errors from the DXDIAG scan. A year ago or so, when I was working on this same problem, I reinstalled Windows 10 and the problems went away for a while. A couple of weeks maybe? Then it came back. For right now, and since I re-installed the AMD drivers a couple of days ago, I'm going to let it run as-is and see if there are any more crashes. Most of the crashes are seen in the Event Viewer as Error 41, Kernel Power errors (leading me to replace the power supply two months ago). If it crashes gain, I will reinstall Windows 10. If it crashes after that, this computer is going out the window and I'm getting a new machine. When I was having a lot of BSODs especially concerning Memory or Service Exceptions, turned out to be a bad RAM Memory module. You may want to run MEMTEST86 just to be sure your Memory is good. It should show ZERO error after two passes. The easiest way is through "Properties" on the C:\ Menu. The Event Viewer Error 41 is generated every time the computer shuts down without properly shutting it down through Windows. Like if you hit the Power or Restart button while still on the Desktop. You can run a manual disk check to identify errors that Windows has not spotted, yet. In Windows 7, go to > Start > Computer and right-click on the disk or partition you wish to check. 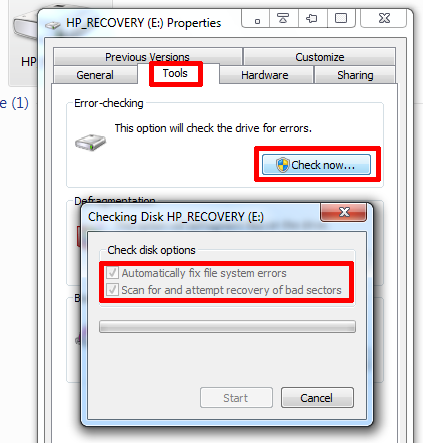 Select > Properties, in the window that opens switch to the > Tools tab and click > Check now… In the Checking Disk window place a checkmark next to > Automatically fix file system errors and > Scan for an attempt recovery of bad sectors. Windows will also check for bad sectors, when you perform a full format or chkdsk command. There are tools that aim to predict hard drive failure by reading the S.M.A.R.T. (Self-Monitoring, Analysis and Reporting Technology) data that is recorded by the operating system. Unfortunately, like most other methods listed above, S.M.A.R.T. is notoriously unreliable in predicting hard drive failure and the catastrophe will often happen before the warning of S.M.A.R.T. kicks in. If you have a working hard drive, however, and would like to have a look at its S.M.A.R.T. 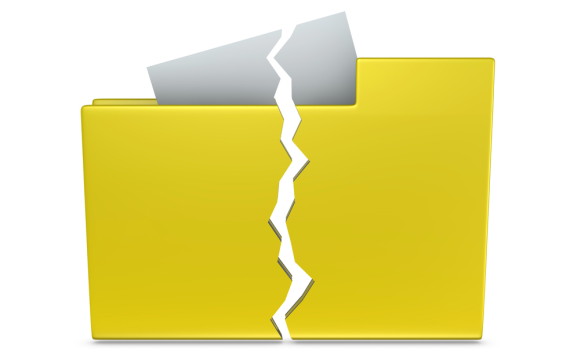 data, check out our article on tools to predict and prevent hard drive failure. 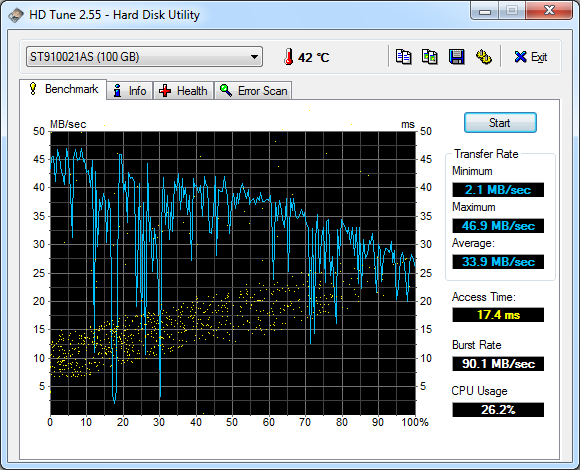 My C: drive is a Blaze Patriot SSD, and I have a Western Digital HD that holds most of my files. And yes, this is a Desktop computer I built from components. In previous testing, I ran MEM86 for 11 passes. Zero errors. I just uninstalled the Garmin program, and re-installer a newer version. I didn't know you were using a SSD. You never mentioned your Computer specs. Most likely your SSD is fine, the link was for Hard Drives which I thought you were using. In that case, most likely your BSOD is either Windows corruption or some incompatible software you have installed. You can always run a "Clean" Windows in which all 3rd party software is deactivated from running. If you get no more BSODs that will indicate a 3rd party as the culprit of your BSOD. I finally threw in the towel and bought a new computer. I hate to admit failure, but I finally reached my limit. I really appreciate all the help I've gotten and your effort to try and help me work through the problems. I believe I originally had AMD 15.301.1901. It had auto updated to 15.7 Catalyst and I had lots of problems with crashing, so using all the tools provided, I reverted the driver package back to 15.301 and vowed if that didn’t work I would reinstall Windows 10. So I performed the nuclear option and did a complete reinstall of Windows 10, a complete reinstall. It ran satisfactorily for about a day, then crashed again. I already had a good machine picked out on Amazon, an Acer Aspire Desktop, 7th Gen Intel Core i3-7100, 8GB DDR4, 1TB HDD, TC-780-ACKi3, so I hit the BUY button. At the moment, I am in the process of transferring files, weeding out the old junk as I go. It’s a nice machine, and I did install a M2 SSD and it seems to be performing nicely. I have learned from another forum that specializes in BSOD that if you make a complete clean installation of Windows and the computer continues to BSOD it is probably Hardware related and not software. And the kicker is, I did all sorts of hardware diagnostics and nothing showed up. So, now I have a nice new machine that will be just fine for me.